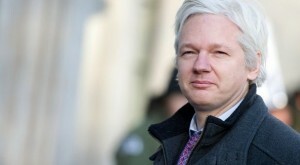 WikiLeaks founder Julian Assange kicked off his new career as an interviewer of “terrible radicals” on a Kremlin-funded TV channel on Tuesday by hosting Hezbollah leader Hassan Nasrallah for a 45-minute discussion. Lebanon-based, Shiite militant group Hezbollah is considered a terrorist organization by the United States and the United Kingdom, but not by Russia. Nasrallah also revealed, in a pre-recorded interview broadcast on the Moscow-based, English-language Russia Today news channel, that Hezbollah had contacted the Syrian opposition to urge them to enter into talks with Assad. “But they rejected dialogue,” he said. This entry was posted on April 17th 2012 at 6:55pm/18:55 and is filed under Live News Column 1. You can follow any responses to this entry through the RSS 2.0 feed.